I first wrote this in the mid 90’s and it has also been published in one of my Books. There seems to be a ton of people NOW utilising exactly what I wrote back then as if it were a new phenomenon today! Martial Arts ~ The Guessing Game? 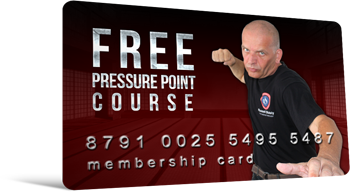 Over the many years that I have been teaching seminars on Pressure Points, whether it be Kata Bunkai or self Defence or even how Pressure Points can fit into a particular art, such as Ju Jitsu or Boxing I have been asked the following question many times. The answer is usually “I make it up as I go along” Which usually gets mistaken for flippancy or “not wanting to tell the whole story”. Nothing in fact could be further from the truth. It is because we do not learn “techniques” per say that we can flow from one technique to another. Or “see” a technique within the confines of a particular situation. By learning through “principle” based training rather than technique based training, you have this peculiar effect of actually learning more techniques than the technique trainer. But, because you are principle based, there is none of the inherent log jam problems associated with technique training. So, how do we learn in a principal based fashion? How do you come up with these principles? How do you train them? How do you know that they will work? The answer is that first we GUESS. That’s right it is a GUESS. It may well be an educated guess, an informed guess, a guess from real life experiences, but it is still nonetheless a guess. What happens next in this principle? From this guess, we must experiment to see if the guess is working. We start by experimenting slowly and with some compliance and then gradually out goes the compliance and the speed, ferocity and venom are turned up to full force. If the guess passes, these benchmark tests it moves onto the show it to a few trusted people test. They then carry out their tests on the guess and report back their findings. The next stage is actual “field testing”. This is where our people who are working the doors, or are Police Officers / Prison Officers / Security agents / Sports Fighters test out the guess and report back their findings. If all the above comes back ok, then we have a new principle that we say “works” and we can teach to the MA/Self Defense world. But does it? Let me use the analogy of a game of chess. If we take the King for example, we know that the King can move in any direction one square at a time. That is a rule, that is a principle, that is our technique. It works well and fine for 100’s of chess games. Just as we are comfortable with the King only making that move, something strange happens in the corner of the board, it is called castling. Now, all of a sudden we have the King moving like it never moved before, doing something completely different. So, we need to look back at our guess and re-test it. We need to create a new guess for the moves the King can make. These “guesses” are ever evolving as we explore and find out new things can happen. To use yet another chess analogy. We know that a pawn can only move forwards, it may do this for 100’s of games with no deviation. Then, all of a sudden it is taken “en passant” so, we need another guess for this piece. Just as we do this, then we find that the pawn can get to the other side of the board and turn into another piece entirely and start moving completely different. We then need to create more and more guess testing. This is what makes the Martial Arts so fascinating, what makes it a lifetimes study. Just as we think we understand the “rules of the game” another unexplained event happens and the rules are added to. Our understanding increases. As a Martial Artist our quest for knowledge and understanding should be never ending. We should always be open to learning new rules, new ways of thinking, new principles. In this way we can all grow as Martial Artists and as people. This is why the “blinkered” approach of many so called “Traditional Karateka” or ”self-defense guru” or ”seasoned sports fighting trainer” saddens me so much. They are playing chess without knowing the full rules. It might well be fine for them for hundreds of chess matches, but when they see castling or are taken en passant or a pawn turns into the all powerful queen, they are in for a big shock! The one thing we can be certain of in our Martial Arts principles / techniques etc is that we are all wrong. We can never say we are right. We can say that we have not been proven wrong yet, but we will be one day. It is this uncertainty and never ending possibility that something unexpected will happen and we need to re-address what we once knew to be true, that makes the Martial Arts so completely fascinating. So, if you feel that things are not working for you, then you are doing things right! You have found a new rule that needs to be explained. Then you have some new guesses to work on, you may understand the new rules and again begin to enjoy your game of chess!